During heavy motion 20mbps isn’t ideal, it can cause the screen to blur significantly due to reaching that limit, 40mbps however is a great bitrate for motion, it blurs a lot less and if you don’t have much motion the file size doesn’t increase that much over 20mbps anyway as it only uses that extra data if it needs to. The problem is that 40mbps is normally out of reach in RECentral due to the 20mbps limit. The solution is to bypass the profile settings in RECentral and go straight to where the program reads them, the Profile.xml file that can be found in C:\Users\*Your Username*\AppData\Local\RECentral. In order to change the Video Bitrate, you need to find the profile that you want to apply it to, in this case it’s a profile called Minecraft. 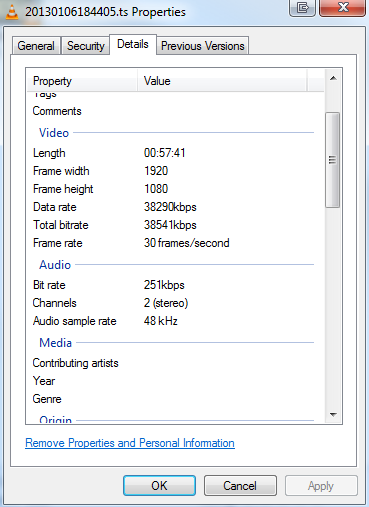 Then all you need to do is change the Bitrate attribute in the RecordSetting tag so that it says 40000 instead of 20000. 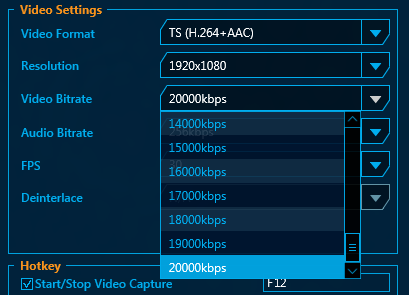 Once you have done this, save the file and start RECentral, it should now say that the selected profile will record at 40mbps and you’ll be good to go. 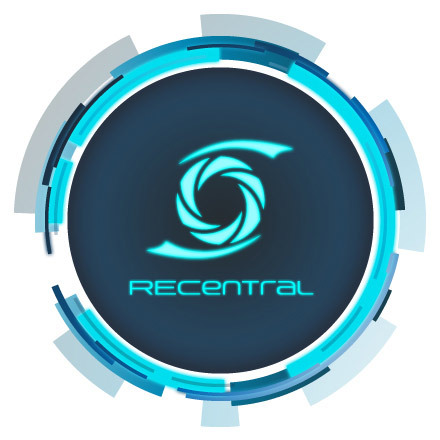 If you make any changes within RECentral to the profile it will reset the bitrate to 300kbps, this is because the 40000 value is considered invalid, cancelling and closing RECentral without letting it save the profile should keep your bitrate setting. Due to this it is recommended to make all changes you ever wish to make to the profile before changing the bitrate and never go into the profile setting again for that specific profile. If you require changing the profile often, consider making multiple profiles with the required changes and switch between them instead. I personally have set my Profile.xml file to read-only so that RECentral can never accidently change it.